There was no pressure on Nahnatchka Khan. All she had to do was pitch, write, manage and will into existence a new sitcom based on the outspoken and iconoclastic Eddie Huang’s memoir — which also happened to be the first TV show featuring an Asian American cast since “All-American Girl,” 20 years ago. Khan, one of the hottest women writer/showrunners in Hollywood, related to Huang’s provocative, best-selling memoir, “Fresh Off the Boat.” While she’s not Chinese, she lived the first generation, immigrant experience. And growing up in East Honolulu, she was surrounded by Asian culture. That sound you heard on Wednesday, February 4th? 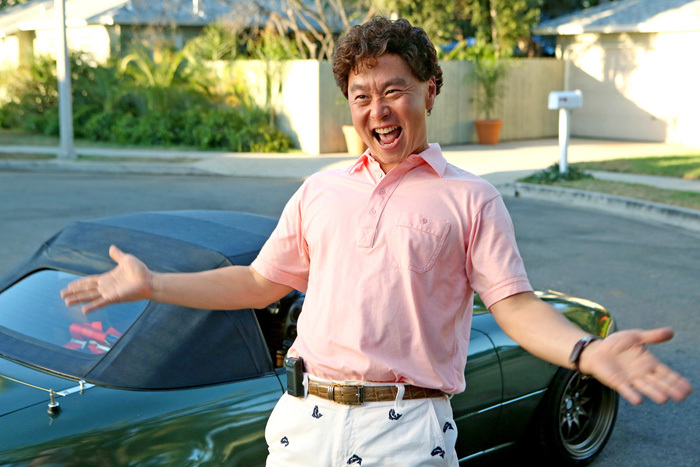 A collective exhale of relief from Asian Americans across the country. 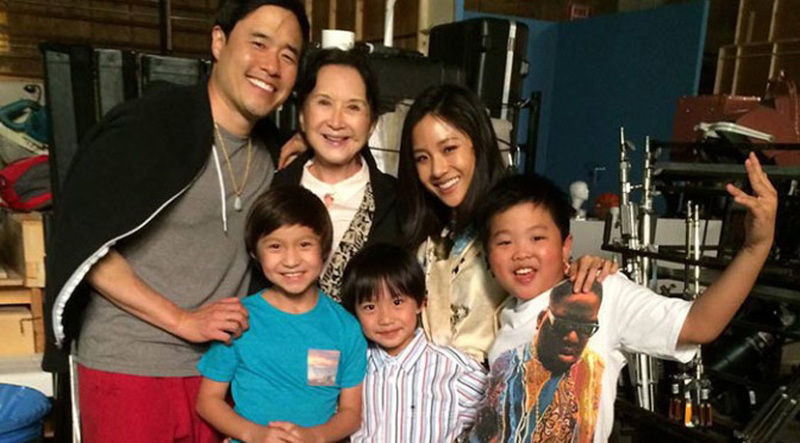 “Fresh Off the Boat” premiered and wasn’t just a critical success, it was damned funny. Constance Wu was a breakout star, the show gave heart and humor to the immigrant experience, and my 4-year-old daughter was mesmerized by kids who looked just like her, looking back at her on our TV. Pressure? Please. How are you feeling now that “Fresh Off the Boat” premiered and is a critical and ratings success? So happy and extremely proud. The passion that both critics and fans have for the show is very satisfying to see and just makes me feel like, yessssssss. 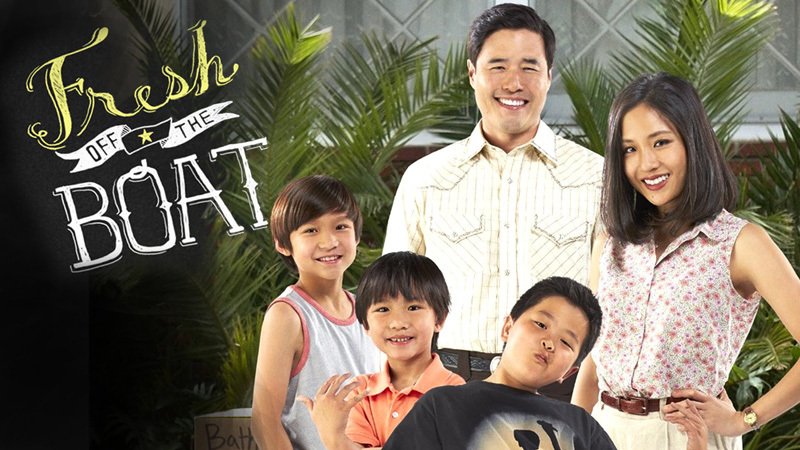 Pitch “Fresh Off the Boat” for someone who hasn’t seen it yet. 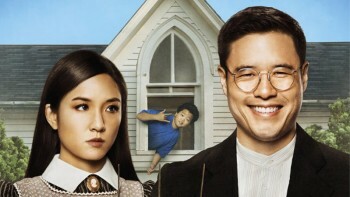 Set in 1995, it follows the Huangs, a Taiwanese-American family who leave their family and friends in Chinatown in Washington D.C. and move to the white suburbs of Orlando so their father, Louis Huang, can own and operate an Old West steakhouse. The previous show I had created, “Don’t Trust the B in Apt 23” had recently been cancelled and, after crying and drinking for a few months, I was trying to figure out what my next television project was going to be. Melvin Mar (one of the other executive producers on “FOTB”) sent me the manuscript of Eddie Huang’s memoir to see if I would be interested in developing it for television. I read it right away and immediately zeroed in on the part where Eddie and his family move to Orlando in the mid-90s and knew that was where I wanted to set the series. Melvin and his producing partner Jake Kasdan (the show’s other executive producer) and I all have development deals at 20th Century Fox Television, which is our studio, and we sold the pitch to Paul Lee and Samie Falvey at ABC. You graduated from Kaiser High School. What were you like growing up here? I think I first knew when I was at Kaiser and they let me write an editorial column for the school newspaper. I was allowed to write about whatever I wanted, so I just wrote about stuff like prom and getting my drivers license, whatever was happening in my life at that time. And I remember kids coming up to me in the halls and being like, “Hey, your article was funny!” I really liked that feeling. Name some of your creative influences. Oh man, there’s so much out there that I love. James Brooks, the Coen Brothers, “Seinfeld,” “South Park,” Tina Fey, Judd Apatow, Amy Poehler, Wanda Sykes, T.C. Boyle, Julia-Louis Dreyfus, Christopher Guest, “Saturday Night Live,” Parker Posey, Louis CK, “Breakfast at Tiffany’s,” Holly Hunter, “The Simpsons,” “The Royal Tenenbaums,” the list goes on…! 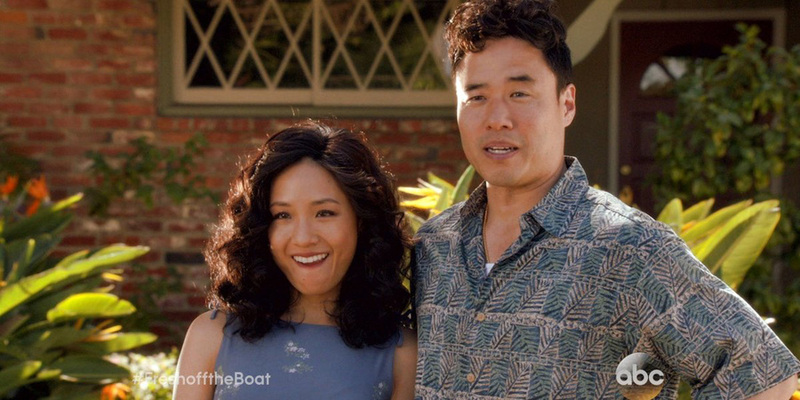 Has growing up in Hawaii influenced “Fresh Off the Boat”? 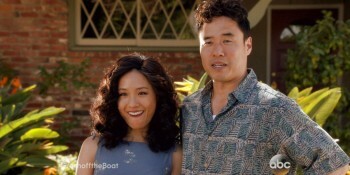 So many of my friends’ parents had elements of their personalities that remind me of Jessica and Louis Huang. And definitely the culture of Hawaii, the food, the music, the people, the lifestyle, all of that definitely influenced me. What do you miss most about Hawaii? Spam musubi times a thousand! Also, saimin, loco moco, huli huli chicken and Zippy’s chili. Sandy Beach, Cockroach Cove, Waimanalo, Ala Moana mall (yoooooo, I spent so much time there before I could drive. My friends and I would take the bus and then hang out all day and go to Eggs ‘N Things), Fun Factory… oh, and shave ice, guava flavor! 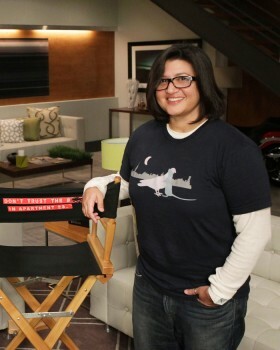 What did you learn from your experiences as a writer and showrunner in Hollywood? The most important thing I’ve learned is to always give yourself options. Making sure you get alts for jokes in scenes, different levels of performances from the actors, so when you’re in the edit bay and you’re looking at the episode as a whole for the first time, you can make sure that the story and comedy are both flowing and working. And that there are many different ways to tell a story… eventually you just have to pick one. What’s the best piece of advice you got during your career? Have the most fun possible. Broad City, The Walking Dead, Louie, Brooklyn Nine-Nine, RuPaul’s Drag Race, Adventure Time, Mad Men, Girls, Looking, Veep. What do you love about writing for TV? Entertaining people, making them laugh and feel less alone. Give local filmmakers and screenwriters who want to make it in Hollywood ONE piece of advice. Be true to yourself and constantly be developing your own voice, don’t feel like you have to fit into any preconceived ideas of what you think you have to do or be in order to succeed. Oh, and don’t wear slippers to a meeting. Watch an hour of “Fresh Off the Boat” on ABC this Tuesday at 7 pm. “Very Superstitious” guest-stars NBA legend Scottie Pippen.